Disclosure: I received a copy of The Fault in Our Stars on Blu Ray for review purposes. The Fault in Our Stars is now available on Blu-Ray in an extended edition! 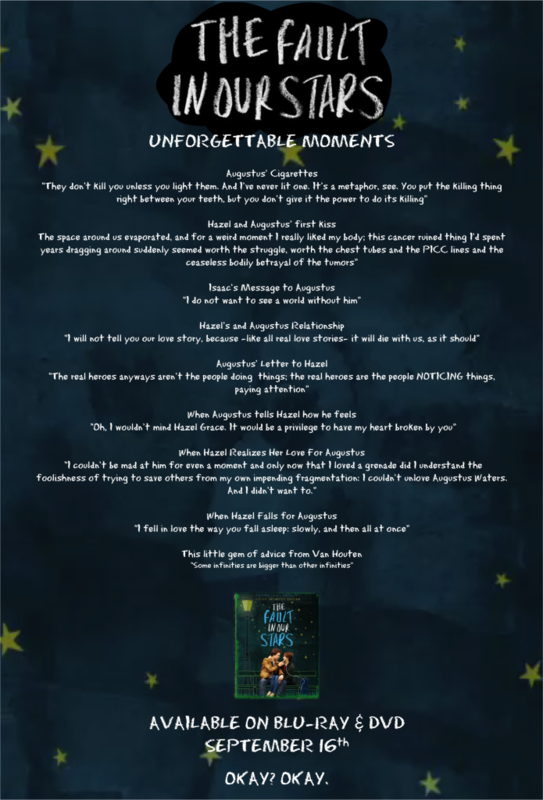 As a The Fault In Our Stars Ambassador, I helped contribute to a list of the best quotes from the movie. 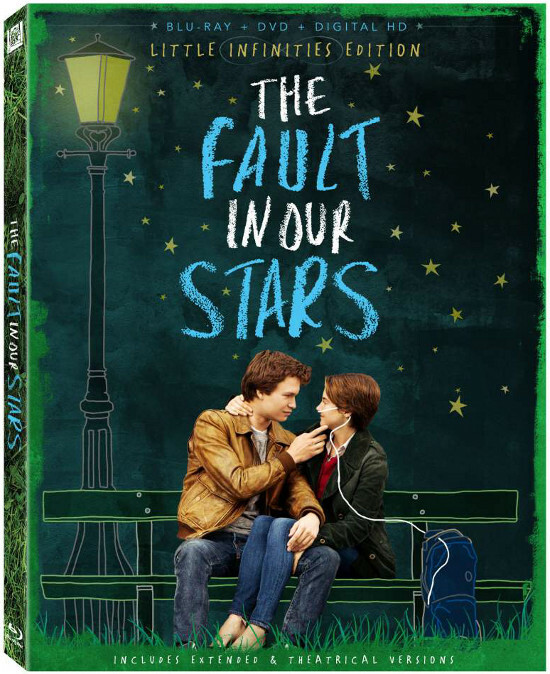 Now here’s your chance to win a copy of the The Fault in Our Stars Little Infinities Extended Edition Blu-ray! Use this Rafflecopter to enter below! The giveaway is open to the US and Canada. Check out this intro to the Blu-Ray disc featuring author of The Fault In Our Stars Book John Green and director Josh Boone. I haven’t seen the movie yet but in the book it was when they travelled to see the author and especially when they visited Anne Franks house. My favorite tear-jerker is Steel Magnolias. i liked the egg scene, thank you so much for the contest! “Oh I wouldn’t mind Hazel Grace. It would be my privilege to have my heart broken by you”….. they made such a cute couple! i liked gus’ faux cigarettes as well. thanks! The biggest tear jerker I have ever seen was Hachi: A Dog’s Tale. I cried so much my daughter told me I could never watch it again…. I haven’t seen the movie, but my daughter likes when Augustus Waters says “I’m on a rollercoaster that only goes up, my friend.”! don’t forget watch video becouse give you much more value than book. But it depend what you like so try both! You have the best quotes on this topic.